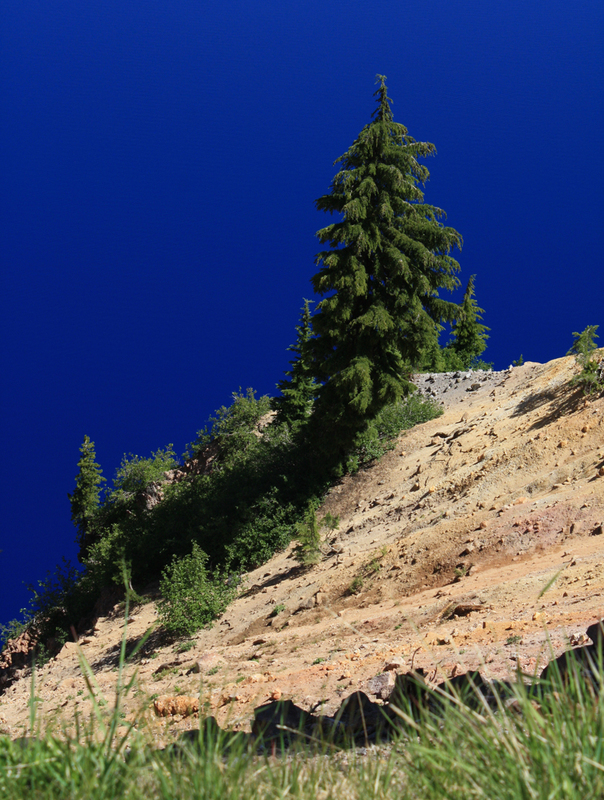 Geologically speaking, the name Crater Lake is a misnomer. Technically, Crater Lake lies in a crater, or more accurately, a caldera, which is produced when the center of a volcano caves into itself. 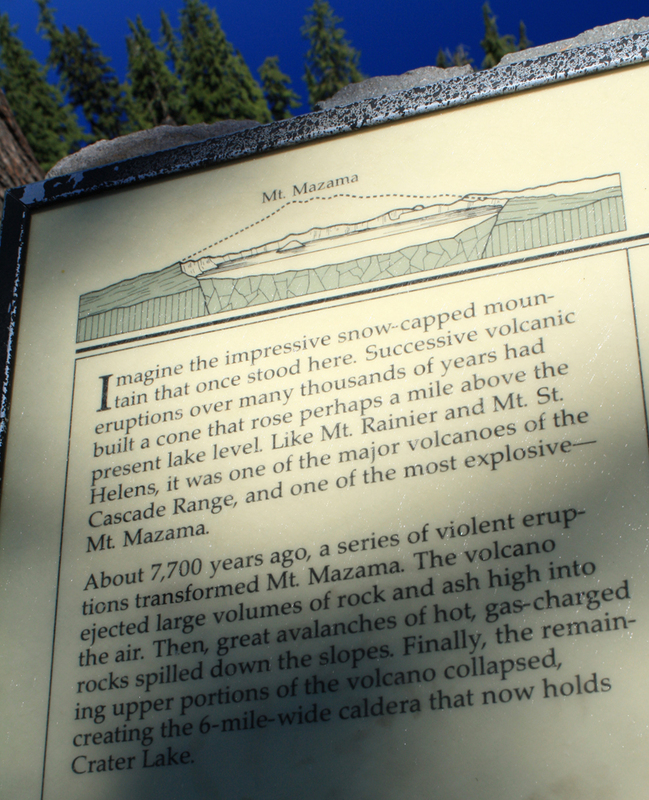 In this case, the transformation began approximately 7,700 years ago with the eruptions/destruction of formerly 12,000-foot-high Mount Mazama. The Crater Lake caldera is five miles wide. 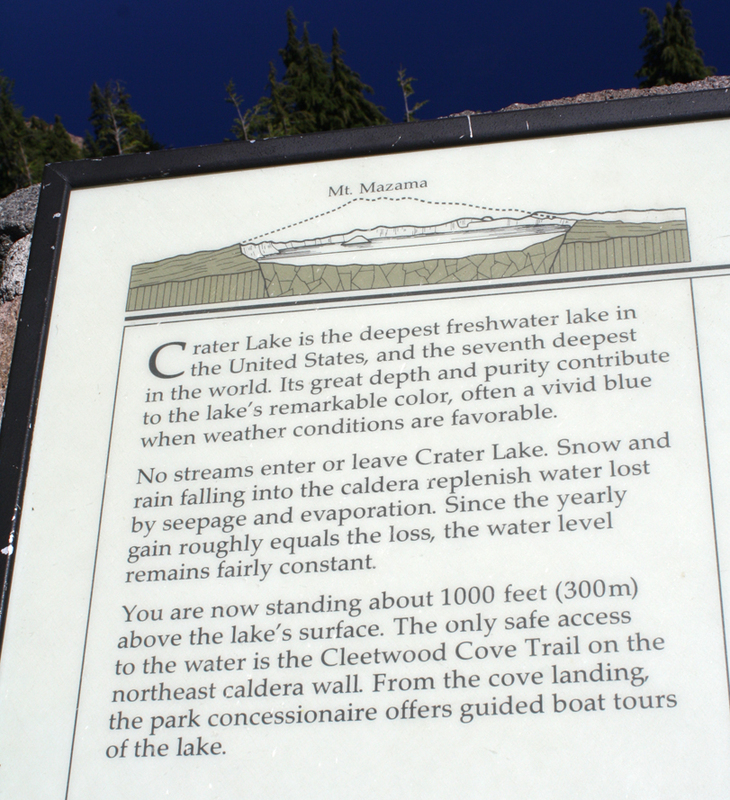 (The maximum lake width is six miles.) The drive around the rim is thirty-three miles. 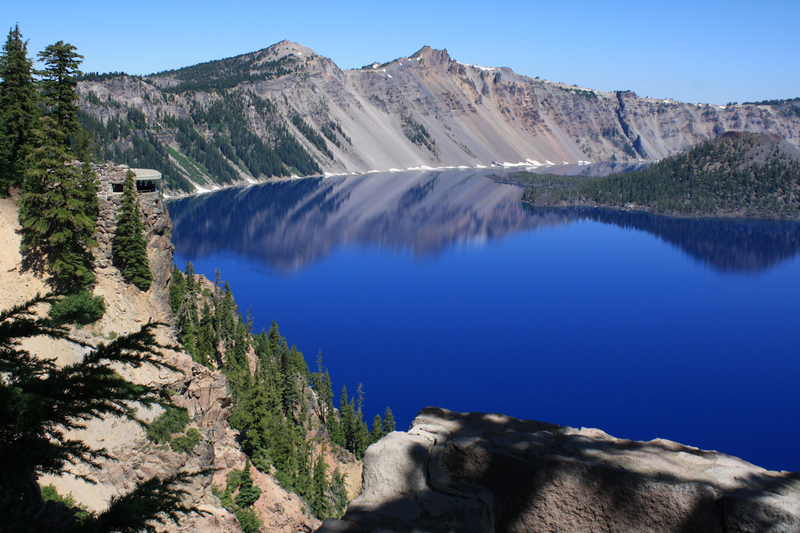 This lake became the Crater Lake National Park in 1902. The park covers 183,224 acres. Wizard Island, shown in the photo above, is a large cinder cone that rises 760 feet above the surface of Crater Lake. Wizard Island provides evidence of volcanic activity occurring since the crater’s/caldera’s formation. This entry was posted on September 14, 2009 at 5:54 pm and is filed under Oregon, Travel. You can follow any responses to this entry through the RSS 2.0 feed. You can skip to the end and leave a response. Pinging is currently not allowed.